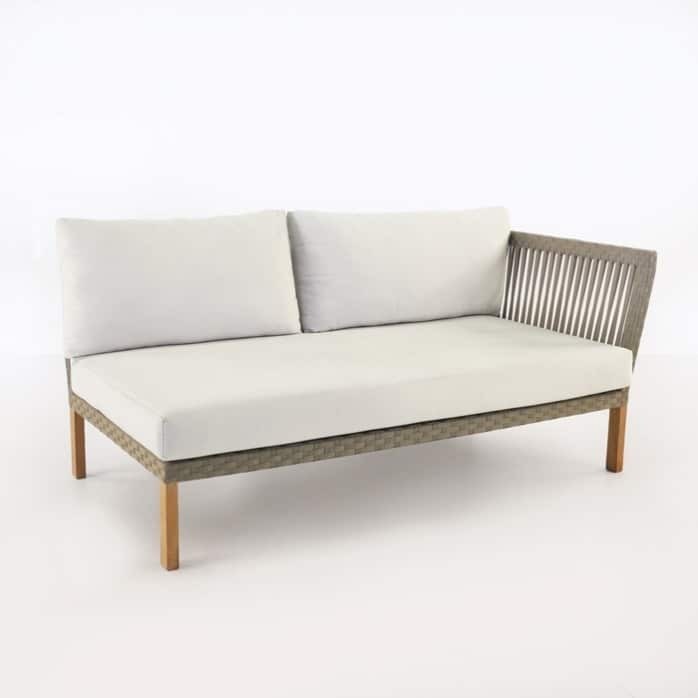 This daybed will be calling your name to remind you to take a minute to enjoy the great air and light of the outdoors. Don’t wait any longer to make your outdoor space your own personal hideaway. Shown with Canvas white cushions; also available in Spectrum Dove, Taupe, Coal, & Black. 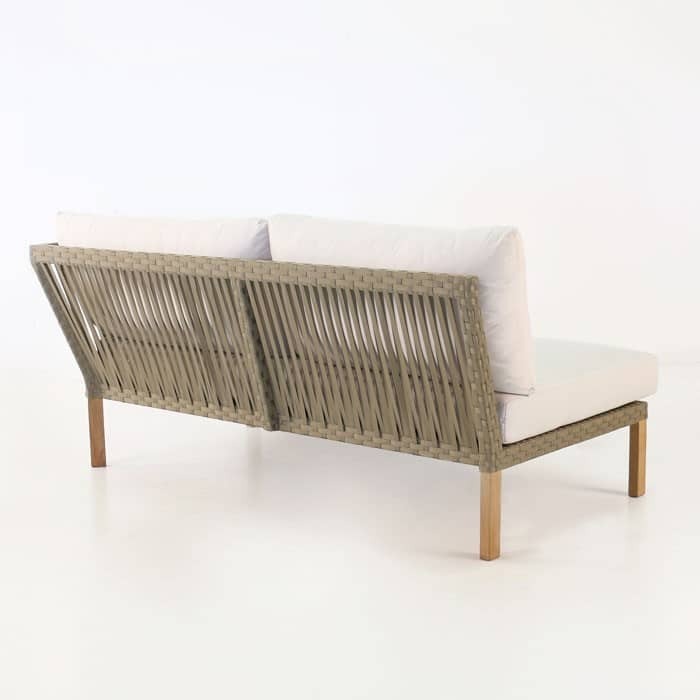 The Willow daybed comes as a left or right arm so that you can design and arrange your outdoor furniture however you choose. 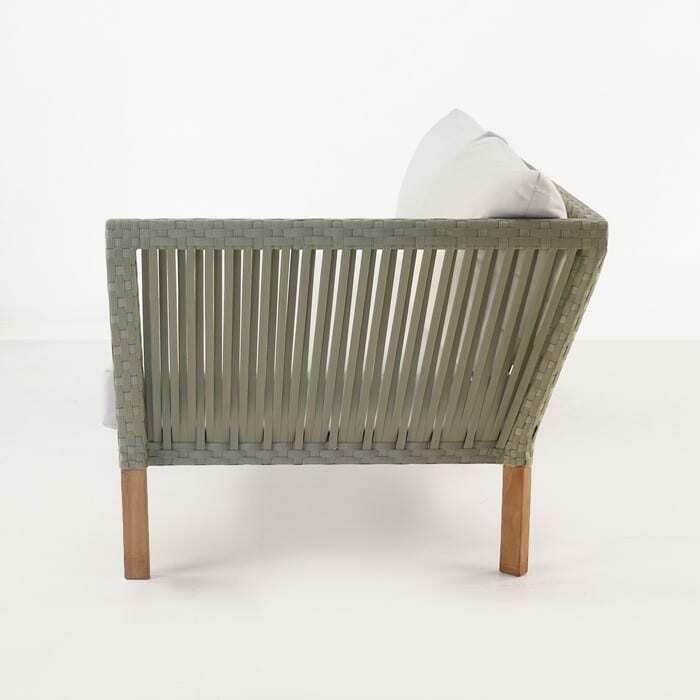 Make an inviting space by using the Willow club chair, corner chair, centre chair, ottoman and daybeds. There are so many choices. 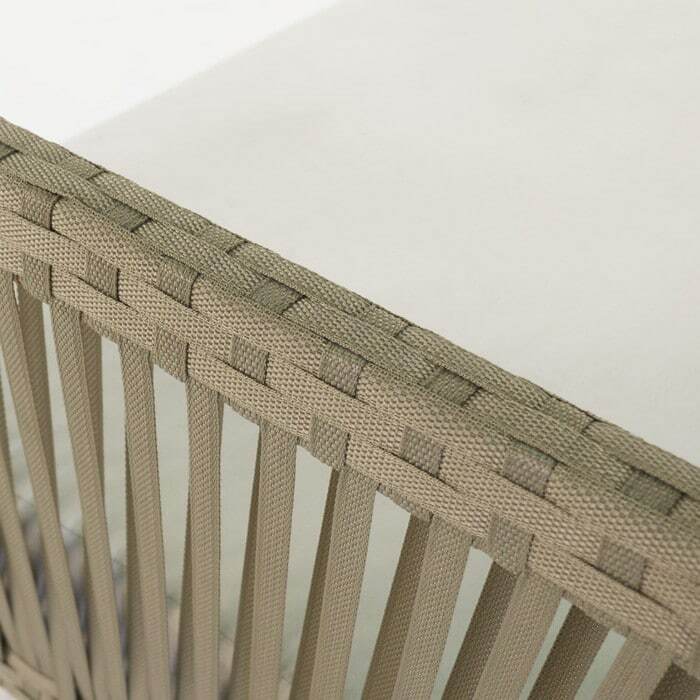 We are proud of our high quality materials that we use to craft our outdoor daybeds. We use premium a-grade teak and Sunbrella® because of their high resistance to the outdoor elements. We are confident that you can use our outdoor daybeds everyday and not worry about them falling apart. These materials are easy to clean with a light pressure hose and cloth. If you do this regularly you won’t be disappointed. Comes with FREE Sunbrella® cushions as shown!